PA urges Security Council to take action to protect Jerusalem. The Palestinian Authority (PA) on Monday urged the UN Security Council to take action to protect Jerusalem from Israeli attempts to “Judaize” the city, the Ma'an news agency reported. The statement came a day after the Israeli Cabinet held its weekly meeting in the Western Wall tunnels instead of in the Knesset in order to honor Jerusalem Day, which was celebrated last week. 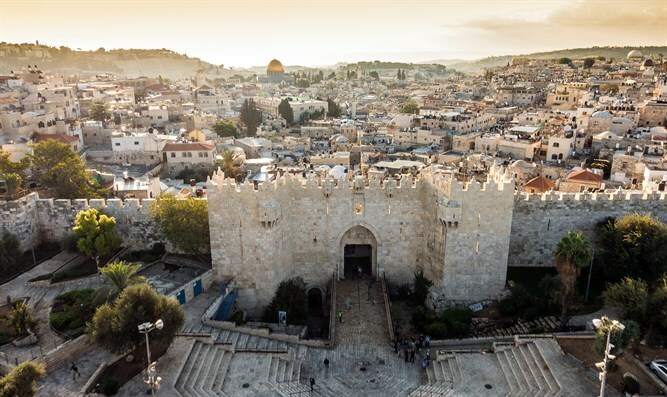 During the meeting, the ministers approved several projects important for Israel's capital, including two projects intended to make the Western Wall more accessible for wheelchairs. The PA bureau in charge of foreign affairs on Tuesday condemned Israel’s “Judaization campaign” in eastern Jerusalem, including a cable car project approved by the Cabinet at Sunday's meeting and the planned construction of elevators and passages connecting the Western Wall to Jewish-majority neighborhoods in Jerusalem. The PA bureau claimed that such projects threaten the Arab and Islamic heritage of the city, while aiming to marginalize Arab residents of Jerusalem. The bureau went on to condemn the school curriculum plan pushed forward by Education Minister Naftali Bennett, saying that it aimed to impose the Israeli narrative on the younger Palestinian generation at the detriment of their Palestinian history. Such measures by Israel, it claimed, undermine the chances of achieving a two-state solution. In addition to calling on the UN Security Council to intervene against Israeli procedures in Jerusalem, the bureau also demanded that the United Nations Educational, Scientific and Cultural Organization (UNESCO) uphold its resolution passed earlier this month denying any Jewish connection to Jerusalem.